Choose your sizing and materials. 4 Color. Premium paper stock and coatings. Strike thru satin and gloss aqueous coatings. Saddle stitching. Embossed. Local delivery or international. 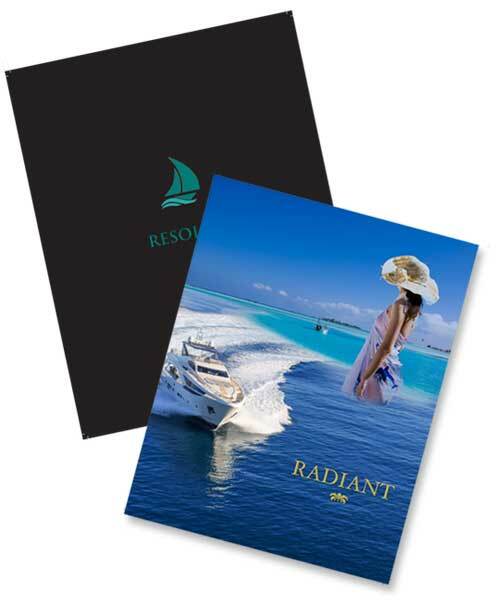 Brochures for yachts and businesses.